Hardware Hacker Converts Old Mobile Terminal Into Fallout-Like Computer! « Adafruit Industries – Makers, hackers, artists, designers and engineers! Great write up from BleepingComputer! Using old dusty hardware being sold on eBay, hardware hackers can transform them into modern devices that perform tasks that they were never intended. Such is the case when hardware hacker Trammel Hudson discovered some Motorola MDT-9100T Mobile Data Terminals being sold on eBay that looked straight from the Fallout universe. According to Trammel, when he saw the terminals being sold on Ebay, he could not pass them up due to their retro-future design. The MDT-9100T was developed in the 1980s to be installed in police cars to act as a mobile data terminal with a built-in radio. What makes these terminals stand out are their dark, retro-future design with big buttons, keyboards, and monochromatic screens like we see in futuristic apocalyptic games like Fallout or movies like Alien. While you can still do some fun things with Windows 3.x, Trammel instead wanted to turn it into a modern computer. To do this, he purchased a BeagleBone Black baseboard (BBB) to act as the brains for the terminal and created a ribbon cable and and keyboard interface that allowed the BBB to work with the MDT-9100’s keyboard and monitor. To learn more about how Trammel upgraded the terminal, I strongly recommend you read his blog post. Once this was done, he was able to use the BeagleBone to install Debian and start playing with various software. 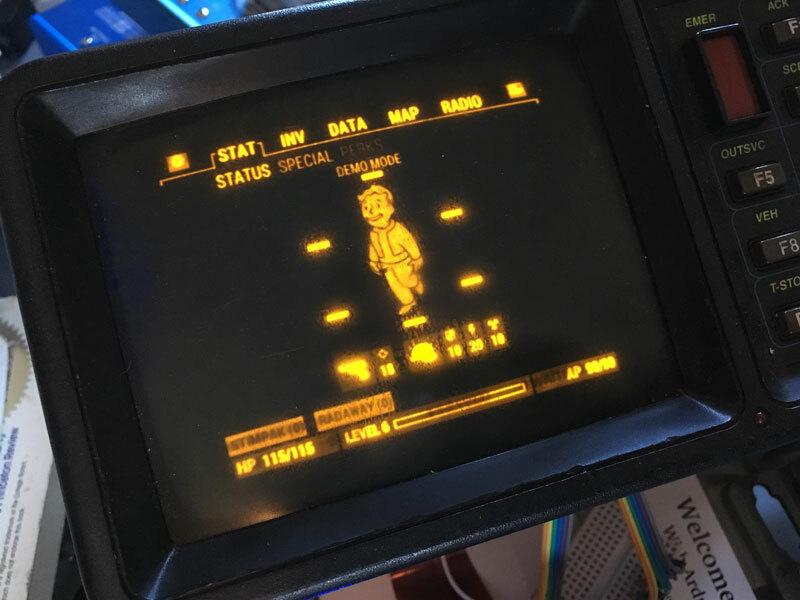 Due to its resemblance to a Fallout Pip-Boy, he installed the Pipboy-3000 software and you can see the terrific looking results in the image below. 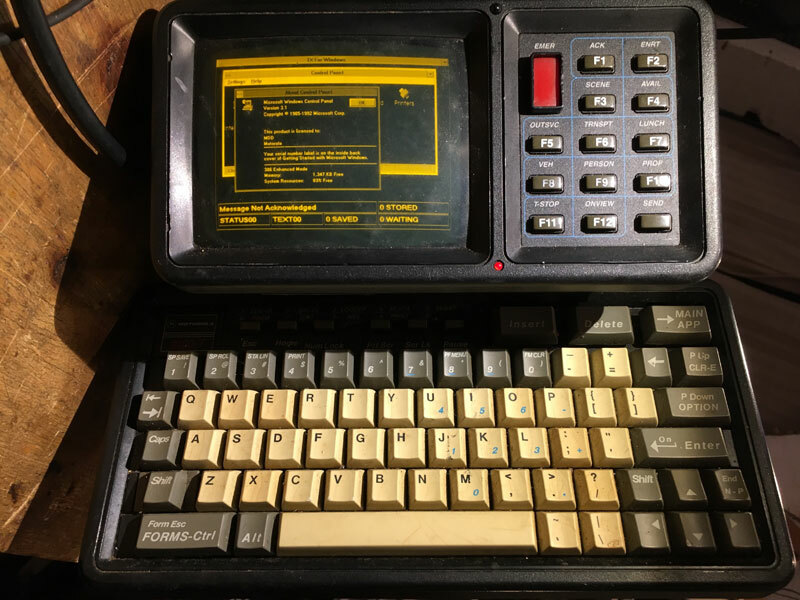 Comments Off on Hardware Hacker Converts Old Mobile Terminal Into Fallout-Like Computer!